Stuck inside with nothing to do? 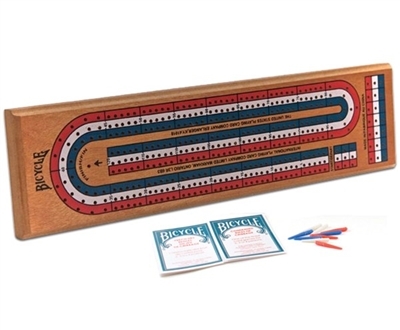 Cribbage is a fun game to play with family or friends. This Bicycle Cribbage Board has 3 tracks. Includes a deck of cards and condensed rules.